Yellowstone National Park! Once again I was captivated by the amazingness of nature! You would think that seeing a bunch of land, trees and mountains would look the same in all states - WRONG! I was so surprised by how different the scenery is in different states even though they have similar elements and climate. I am truly thankful for the protection of the national parks! It sure makes you believe in the hope that humanity will continue to grow in it's awareness of how important it is to protect and honor this beautiful planet we live on and to care for the animals we share it with. It was a beautiful drive through Yellowstone! 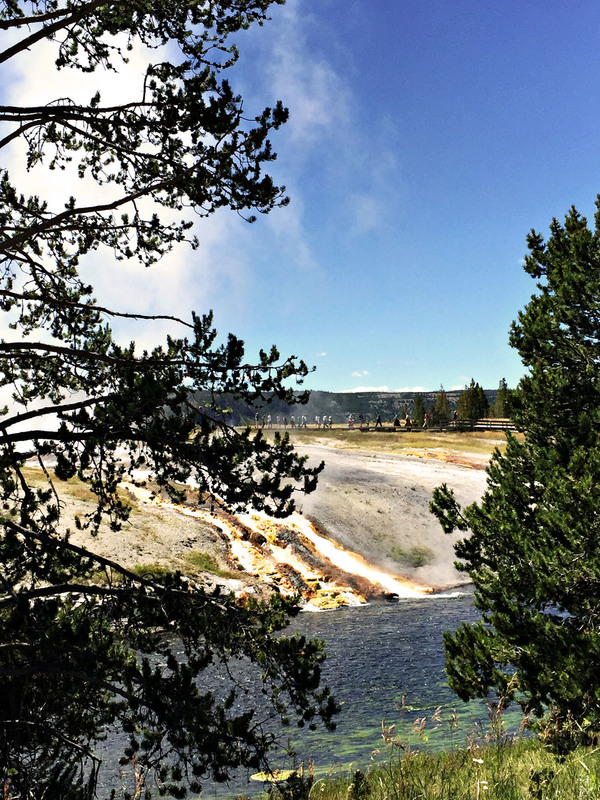 We stopped and took pictures of the sights, saw buffalo, saw the biggest black bear I've ever seen, and witnessed all the amazing geysers including the famous "Old Faithful". It was pretty awesome to see these boiling hot geysers running off into the river and "Old Faithful" was worth the wait to see! We kept it super casual during these travel days. No make-up, hat hair and matching ugly walking sandals! You're welcome ;)! After all, what you remember most about adventures is the experience itself, not how you looked! If you haven't been to the national parks, start making your plans! It's an adventure you'll always remember!